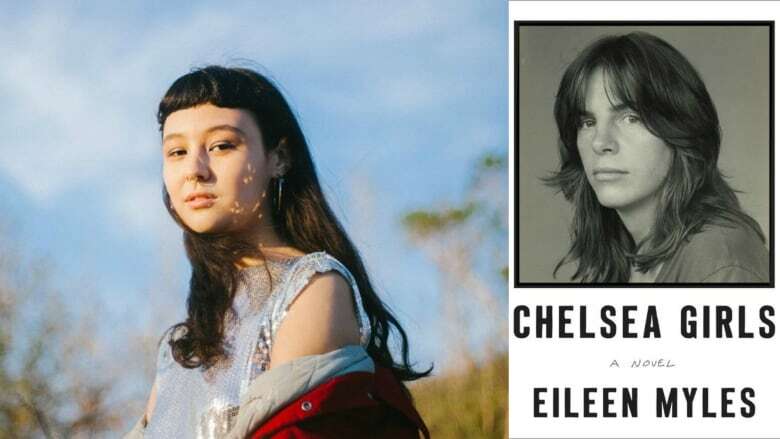 Hannah Bussiere, who performs as Luna Li, shares how the lyrical prose in Chelsea Girls by Eileen Myles inspire her. Hannah Bussiere, who performs under the moniker Luna Li, is a Toronto-based indie artist. Bussiere first came across Chelsea Girls by Eileen Myles in a small feminist bookstore in Montreal last year. She explains what made her pick it up and never put it down. This segment originally aired on Feb. 26, 2018. "I was drawn to the cover, which was a photograph of an androgynous-looking young person. It's a collection of stories— supposedly autobiographical, but it's classified as fiction, so I think it's a mixture of both. The stories aren't in chronological order, but they flow together thematically. The main thing I fell in love with in the book was her writing style. It was nice to be able to connect well with the writing, but also learn from it and be inspired by it in a new way." "Each chapter explores a different theme and moment from her life, so there's a lot about understanding gender, sexuality, sexual assault, drugs, alcoholism and struggling as an artist and writer in 1970s New York. This book resonates with me now because it reflects what's happening in my life with themes of understanding and exploring feminism, gender, creativity and writing — different ways of creating art." Luna Li's comments have been edited and condensed.